I posted this photo of a steamboat two years ago. I had been told by Grandpa that it was probably on the Kalamazoo River. 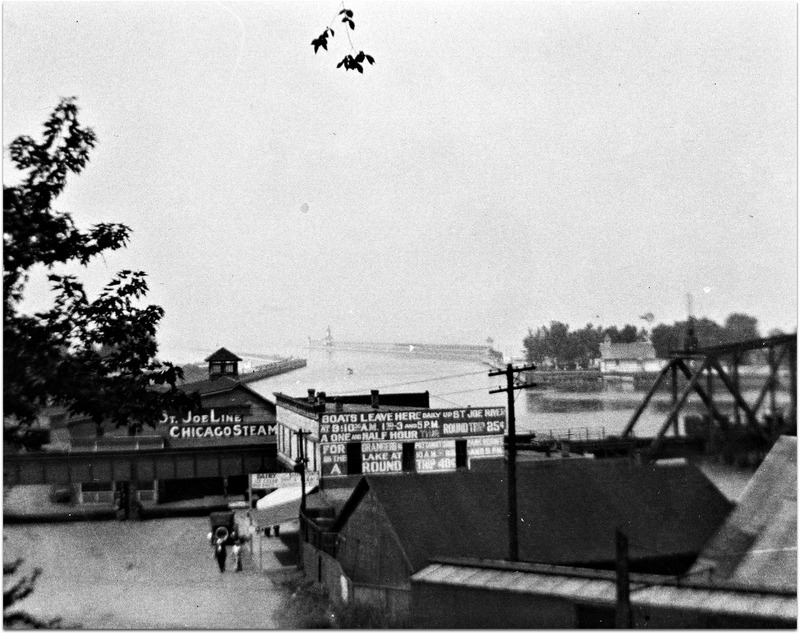 In the glass negatives that belonged to Joseph DeKorn, there are more ship and water photos. I started to think that the glass negative photos look like something bigger than the Kalamazoo River. Notice the Coca-Cola ad to the left of the photo above (hubby collects vintage and antique Coke signs, so he would love this). 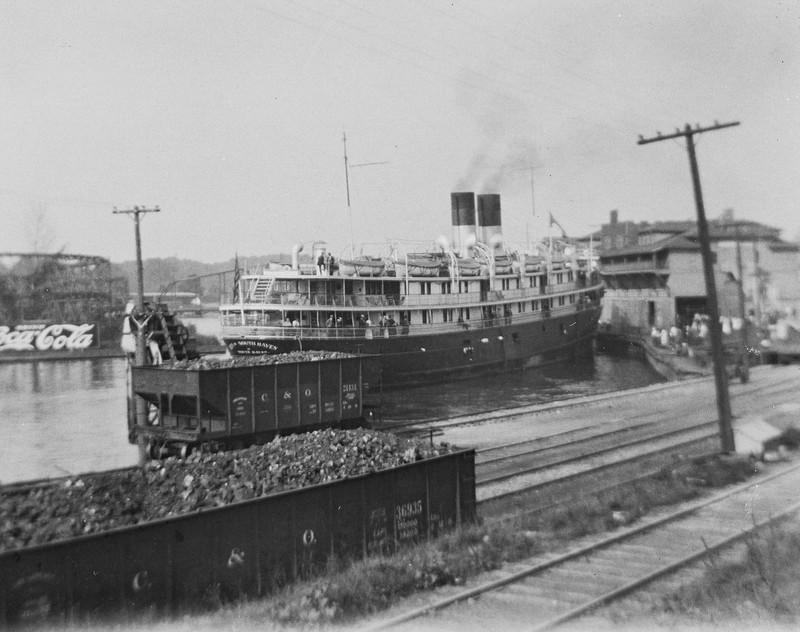 Because these scenes appear to be major water transportation, I looked up the Great Lakes passenger steamers on my old friend Wikipedia. 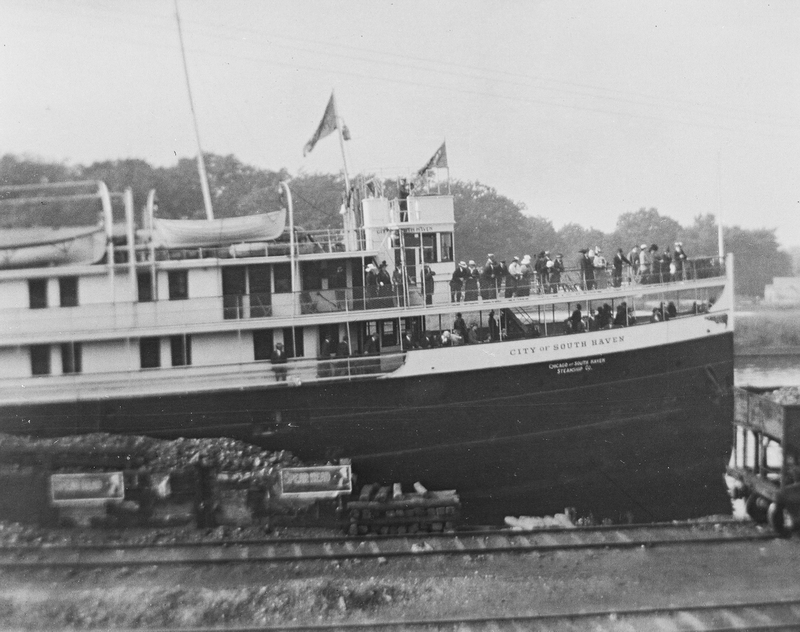 I learned that the “history of commercial passenger shipping on the Great Lakes is long but uneven. 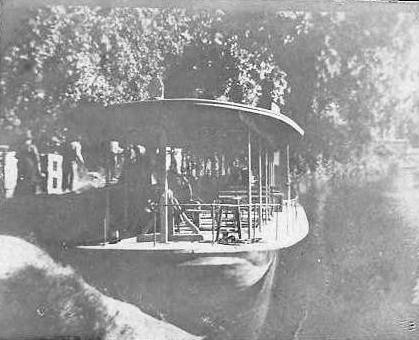 It reached its zenith between the mid-19th century and the 1950s.” These photos are probably from the very early 1900s. 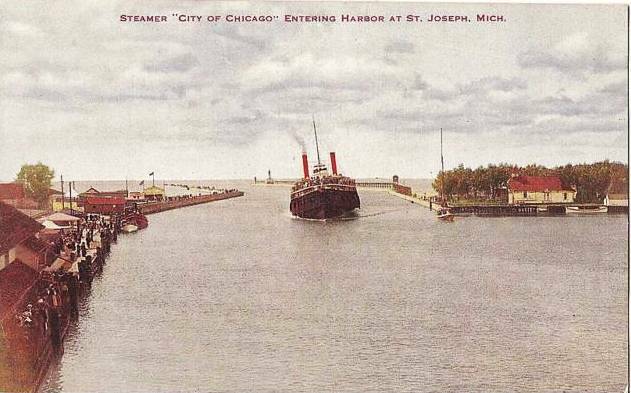 This ship is the City of Chicago steamer, operated by the St. Joe Line (see Uncle Joe’s photo above). What I would love to find out is the route these passenger ships took–and what the ride was like! Did they serve food and beverage? Was it fine dining or picnic lunch? How long did the trip take?